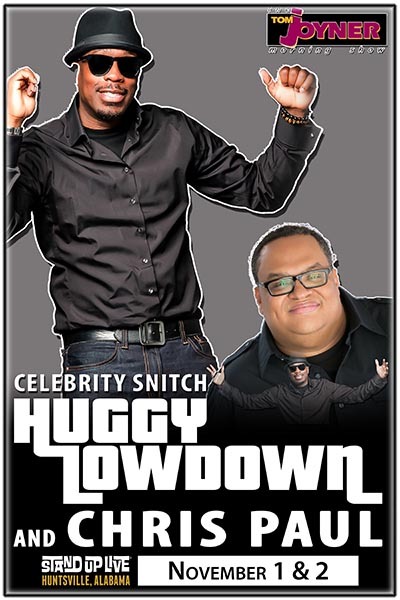 Huggy Lowdown: Huggy is the number one segment on the Tom Joyner morning show heard in over 115 markets across the country. Huggy hits every morning at 830EST 7:30CT giving the entertainment news and gossip for the last 3 to more 8 million Tom Joyner listeners. Chris Paul: Chris Paul is a standup comedian and regular contributor to the Tom Joyner Morning Show. He has been featured on Comedy Central and BET. He’s also co-headlined a show at the Kennedy Center with Dave Chappelle back in 2006.